The iconic Compassberg that looms over Nieu-Bethesda village. 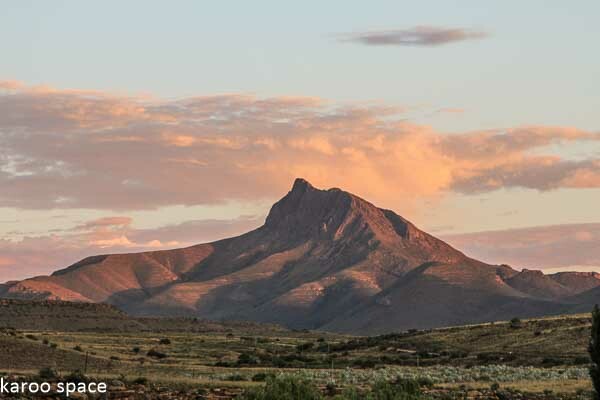 There are many Karoo farmstays in the Nieu-Bethesda – Graaff-Reinet area – most of them within sight of a legendary mountain. Ganora Guest Farm – gold standard in agri-tourism. Find a farmer who has a friendly mien and a good eye for fossils, and you’ve discovered a treasure. Now pair him with a welcoming wife who ensures your lodgings and grub are first-class and you’re right there in the winning zone. 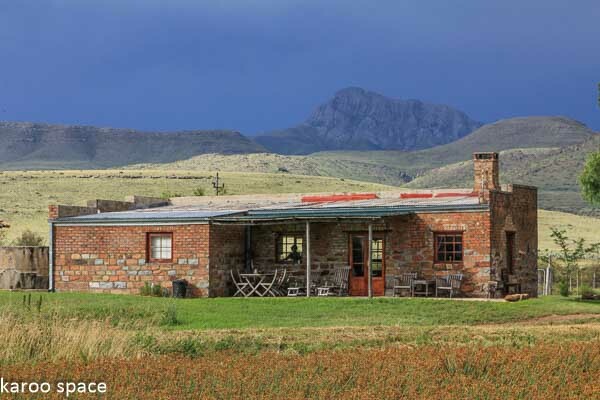 JP and Hester Steynberg have been setting the Karoo farmstay gold standard for well more than a decade. 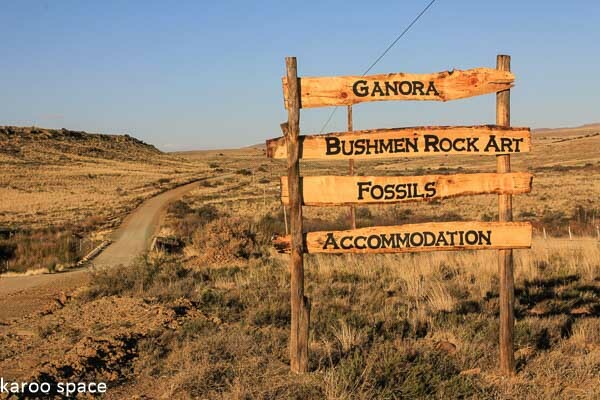 Visitors pitch up from all over the world to experience life on this working farm, to drink the wine, take the fossil walks, witness the shearing of the sheep and hear the Steynberg story – deep in the folds of the aptly-named Sneeuberge. Die Vleihuisie at Doornberg – with the Compassberg in background. Scoot through Nieu-Bethesda, take the dusty little Richmond road and soon you are on the other side of the Compassberg at Doornberg Guest Farm. Owner Peet van Heerden is a master storyteller. He even published The Doornberg Times at one stage for a local audience, regaling his readers with humour-laced legends of the area. If you stay at the homestead, his wife Hanna feeds you very well. However, many who come to Doornberg like to stay out at the magnificent Vleihuisie, a self-cater cottage well within sight of “the mountain” we’re getting so familiar with. The Space at The Rest Farm outside Nieu-Bethesda. These mountains around Nieu-Bethesda, with the Compassberg undisputably the boss of them all, are all bound up in what is charmingly and aptly known as the Sneeuberge – the Snowy Mountains. Paula Kingwill of The Rest Farm says her best mountain around here is the one you view from the bedroom window of your cottage when you stay here: Alwynskop. The Rest is a healthy mountain retreat, and the guest cottage is a rustic hideaway for all seasons. Adding to the general hobbit feel of the property is The Space, a round and distinctive building just across the river that is a magical place with a sprung floor. It is used for meditations, workshops, weddings, dances and general disconnection from the bustling world of the city. Tweefontein Farm in the Lootsberg Valley. When you crest the Wapadsberg from the Cradock side, you overlook the wide sweep of the Lootsberg Valley. Somewhere far down below, a veritable dot in the distance, is Tweefontein Guest House on Blaauwater Farm. If you’re a Game of Thrones fan, you’ll know what I mean when I say the Lootsberg is the Winterfell of the Karoo. Its forbidding ironstone ridges are icy for much of winter. When snow falls, the Lootsberg Pass is often closed to travellers. If you’re really lucky, there are few more romantic spots to be snowbound in than the renovated old farmhouse at Tweefontein. 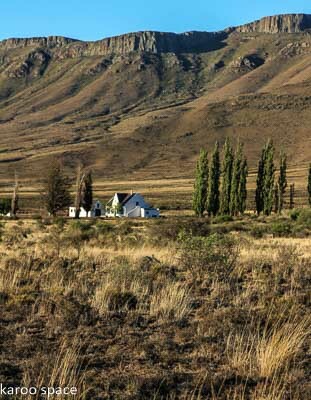 Owned and run by Liesl and Justin Kingwill, Tweefontein was first built in 1863. At a later stage, however, it was uninhabited for more than 80 years – until this young enterprising couple set about the task of bringing it back to life in grand style. From the outside, it has retained the look of a Victorian-era farmstead manor house. 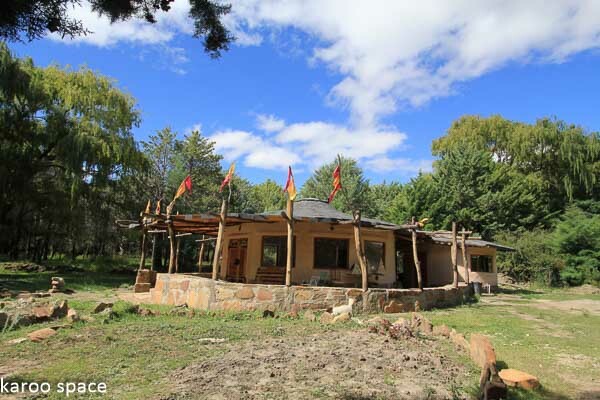 Inside, however, it’s a clever mix of yellowwood floorboards, high ceilings, a rocking old fireplace and all the modern conveniences you can think of, including DStv. At Tweefontein, you can be as isolated, lo-tech or hi-tech as you choose. Trymore Cottage on Wellwood Farm between Nieu-Bethesda and Graaff-Reinet. Across the valley is the historic Rubidge farm of Wellwood, with its grand views of the Wapadsberg – The Wagon Trail Mountain. If heritage farming and fossils are your thing, you could spend many happy hours at the farmstead museum before driving a few kilometres down on a dirt road to the impeccably-kept Trymore Cottage on Wellwood and settling in. Of course you could self-cater, but the cold is coming, the log fires are lit and there is dinner on offer. Tip: the Wellwood Lamb Pie is a thing of beauty. 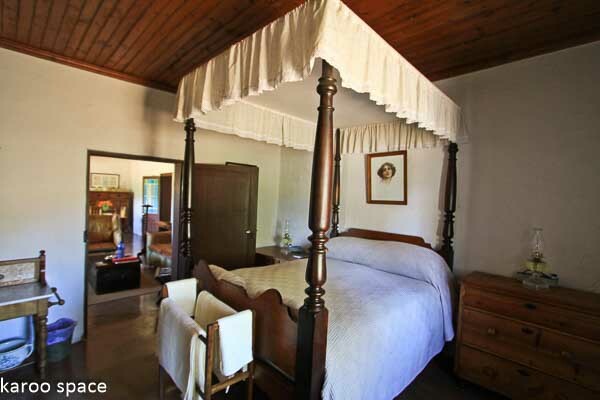 One of the bedroom at the restored Letskraal Farm outside Graaff-Reinet. Of course you know what a donkey boiler is, right? For the uninitiated, it’s a marvellous piece of old-time technology: a wood-fired tank that produces loads of water at near-boiling point. 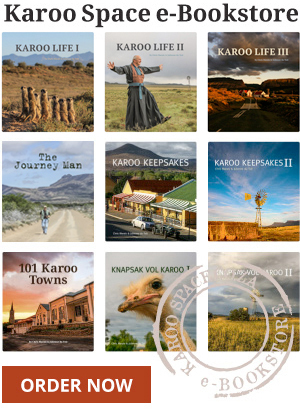 It all sounds a bit silly in the blazing heat of summer but, as you can feel by now, the days are getting a little chillier and the Karoo nights can be downright freezing. So let’s feed the Letskraal donkey without delay. Letskraal Farm lies just off the N9 on the way down to Graaff-Reinet. You might have arrived in a modern conveyance, but after a couple of hours at the beautifully preserved Letskraal that old wagon parked outside will seem quite appropriate. Your mountain views from here (if you can drag yourself out from under the soft duvet) are of the Agter-Sneeuberg range of mountains. It’s worth the rise, because in winter there’s always a chance of snowy ridges out there. The Big House at Wheatlands Guest Farm on the Plains of Camdeboo. 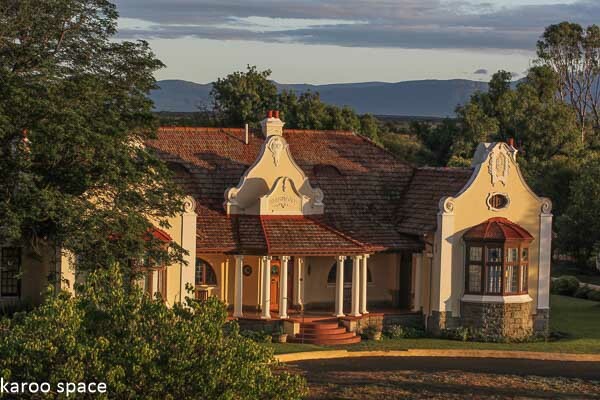 South of Graaff-Reinet and near the village of Pearston on the Plains of Camdeboo is where you find Wheatlands Guest Farm. Your lodgings will be in an old ostrich feather palace that is maintained as if the wealthy Victorian-era owner just stepped out for a bit of shopping and will be returning within the hour. Wheatlands is known as a “legacy farm”, owned and run first by the Parkes and then the Short families since the 1860s. The feather palace you’ve staying in has been around since 1912, when the ostrich boom was still in full swing. These days, mohair rules the roost. If you stand up on the Widow’s Walk of the Shorts’ home overlooking The Big House and look into the far distance, you will see the jagged Tandjiesberg (Toothy Mountain) to your left and the blue haze of the Bankberg before you. Our next holiday will be there, timeless where everything comes to a halt. That is where you can talk to God.